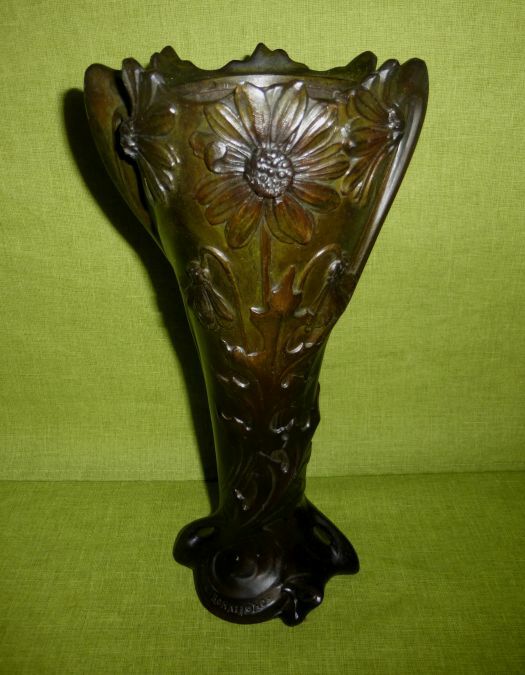 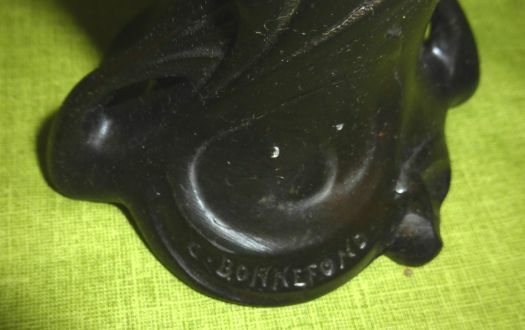 Great vase style "art nouveau", in regulates, signed "C. BONNEFOND". 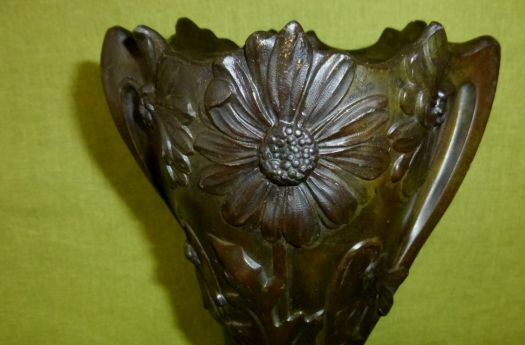 It comes from a set for fire place with a planter and 2 vases. 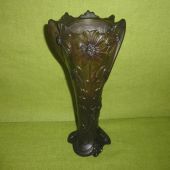 Very good condition ; height 26,5 cm. 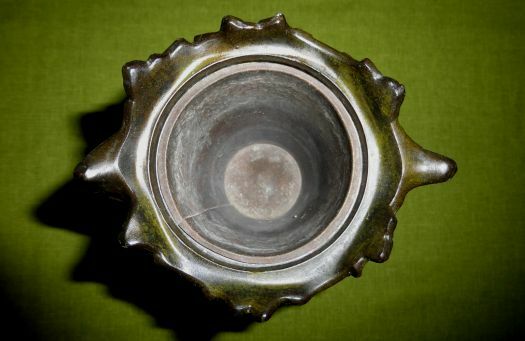 Inside, there is a small vase in iron, for water ; height 10,4 cm ; diameter 7,4 cm.